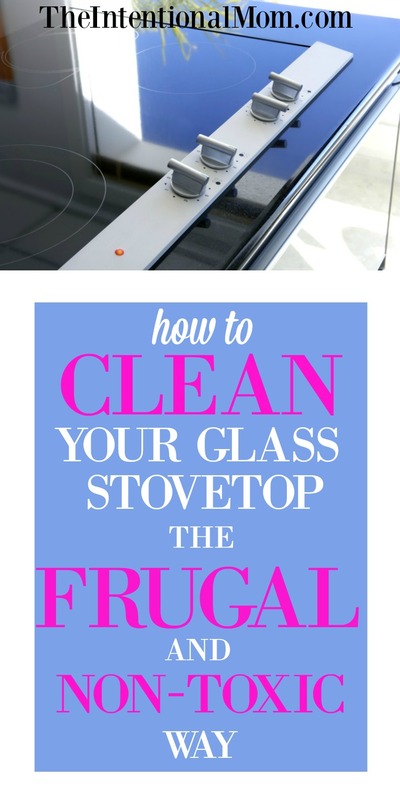 Do you know the frugal way to clean your glass top stove like magic? And, it uses only two things you probably already have. I love a shiny stove, but I always hated spending $5 or more for the glass top stove cleaner. There had to be an easier and money saving way. So, I set about looking for it. 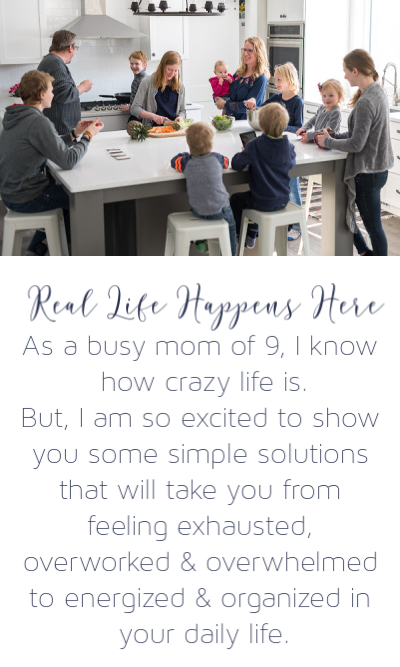 I tried a few different combinations and methods, and I have finally found the absolute easiest and most inexpensive way to get it done. 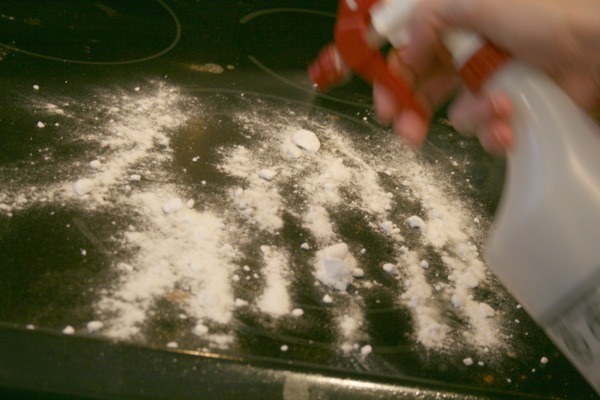 This is how to clean your glass stove top the frugal and non-toxic way. 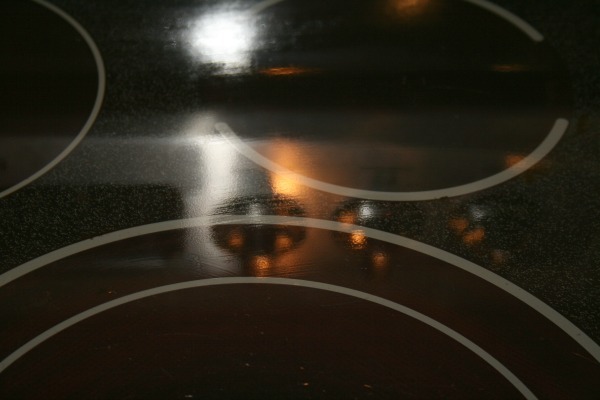 Do you have a glass stove top that looks like this? 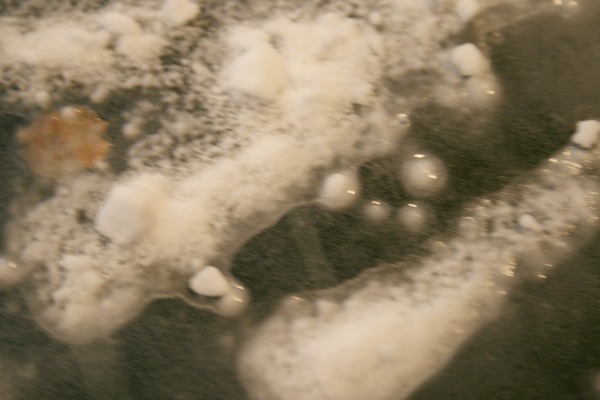 I don’t know about you, but it doesn’t take long for my glass top stove to look like this – or worse! 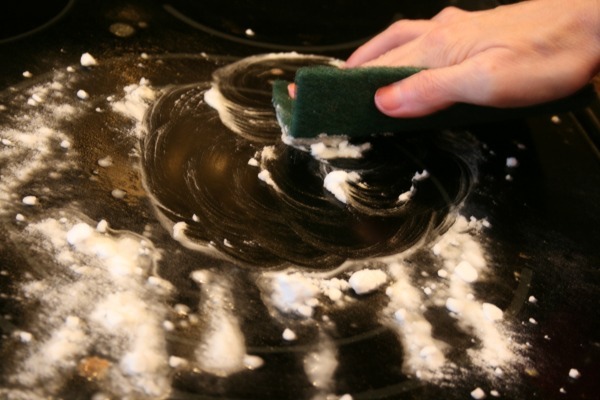 Sure, there are stove top cleaners out there, but they are expensive, and could be toxic. If you have a glass stove top in need of cleaning, you can most likely complete this project using things that you already have on hand! 1. 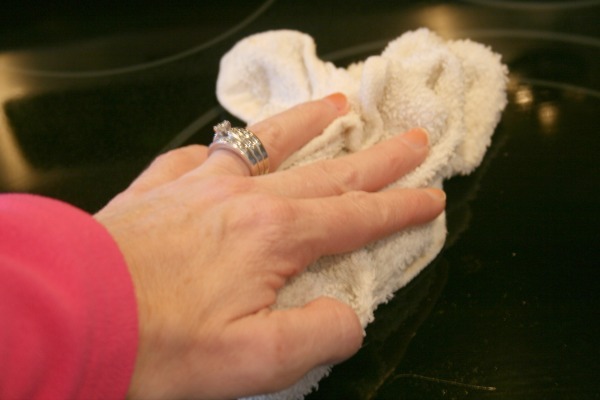 Start by wiping the surface off with a wet rag, cleaning it of all loose debris and everything you can get off. 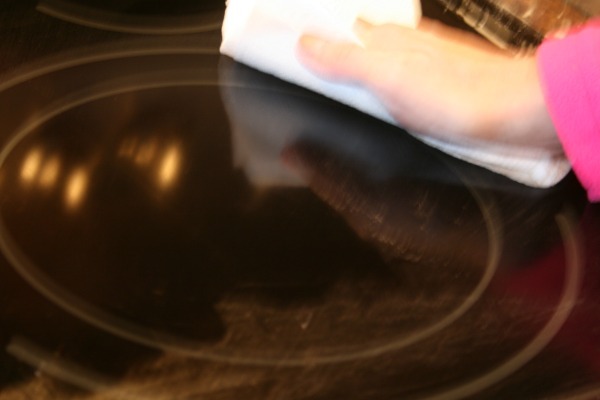 Finally, use your second clean, dry rag to give the glass stove top a buff and polish, and voila!!! 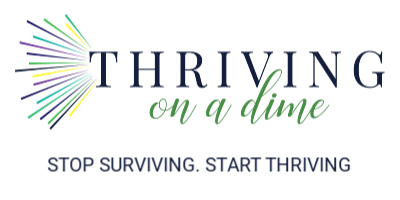 You should now have a glass top stove that is clean the money saving and non-toxic way! 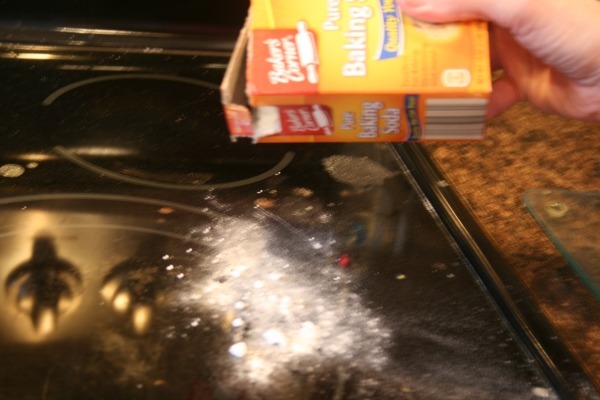 The next time you’ve got a dirty stove, try this frugal, non-toxic, and super easy way of just getting it done. 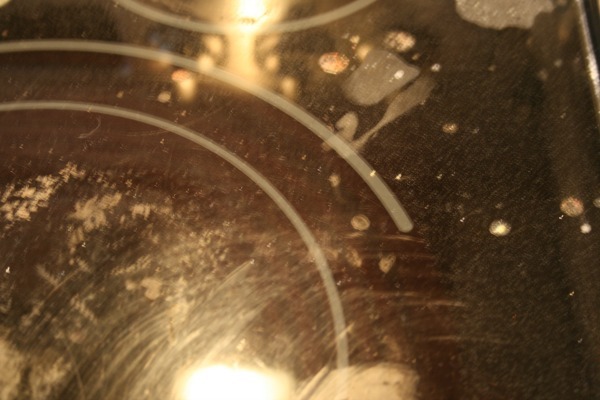 I suggest not to use scrubbing pad on your glass stove top because you can easily leave scratch marks. It is much safer if you put on some gloves and use old t-shirt or paper towel. The cleaner that I use is so strong that I can feel it in the back of my throat so I will be sure to try this, thanks! Does the bubbling not damage the cooker top? you’re welcome. Yes! No fumes with this one! Spray with favorite cleaner and wipe up loose debris. I scratched mine so bad using baking sofa and vinegar. With a cloth. Ughhh. I like the razor blade idea and think that would be ideal. ugh! That stinks, thankfully, this has worked super well for me!